Former agriculture minister Hope Mwesigye has said President Museveni’s decision to sign into law the ‘age limit bill’ is an indication that he’s going to end up like former Libya strongman, Colonel Muammar Gaddafi. Museveni appended his signature to the Constitutional (Amendment) Act 2017 which, among others, removes the presidential age limit caps of 35 and 75 years in the constitution. The Act also extends the term of parliament and local government councils from five to seven years among other provisions which touch on 10 different articles of the constitution. Museveni signed the bill into law on December 27, just seven days after it was passed by the 10th parliament amidst acrimony. 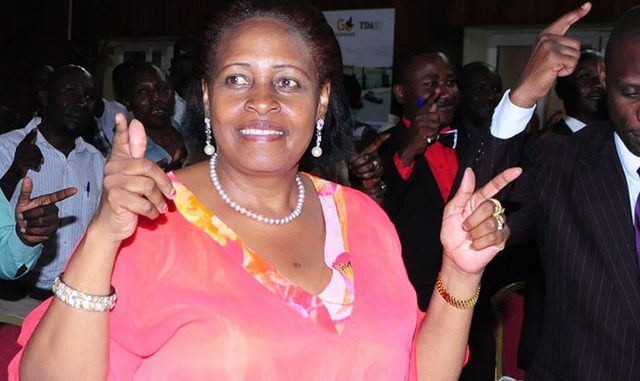 Speaking in Rukiga district on Wednesday, Mwesigye who is also the former Kabale District Woman MP says that Museveni’s decision to sign age limit bill into law has left many Ugandans angered. Mwesigye says that the anger could result into war and bloodshed. Mwesigye also says that Museveni will end like Gaddafi, since he has remained inflexible to respect peaceful transition of power. “What has happened since they have amended the Constitution against the people’s wishes and will, it has been bad, the situation is fragile and I think it can only get worse. What I’m seeing which has even started now, is instability. People are not sure of what is happening, there is uncertainty and it can only get worse and it will culminate clearly into more violence and war. You can see as a result of what happened, the so much money they used in amending this Constitution, I feel frustrated. He [Museveni] may end up like the Gaddafis of this world, the Mubaraks of this world. Let him not think that because people are quiet, Ugandans are happy. When it reaches the tip-off point Ugandans will react,” Mwesigye said. Gaddafi’s 42-year-rule ended violently when an uprising led to his overthrow in August 2011. In hiding for two months after his overthrow, Gaddafi was on October 20, 2011 captured and tortured to death by the rebel forces of the National Transitional Council. Mwesigye also says that Museveni should have respected appeals from the majority of Ugandans including religious leaders of avoiding life presidency by not signing the bill, even after Parliament had passed it. “Already many are regretting, many have been cursing, you heard the words from the bishops, the archbishops, everywhere. Everyone is saying; why do you do it? Even before people were saying don’t amend, there’s no need and there was no need. You don’t amend for only one person. If you must amend the law, there must be a cause, there must be a reason why it must be amended and the reason can’t be to amend it for President Museveni. That’s not a reason good enough,” she added. Ironically, Mwesigye then a minister and a strong ruling NRM party bigwig, was at the centre of efforts to remove presidential term limits in 2005. She, together with former Prime Minister Amama Mbabazi, who is also her brother in-law, were the face and mouth of the term limits removal. They fell out with Museveni after Mbabazi expressed ambitions to challenge Museveni for the top seat, going on to stand in 2016 but coming a distant third in the race. In this latest amendment, the term limits have been reinstated. 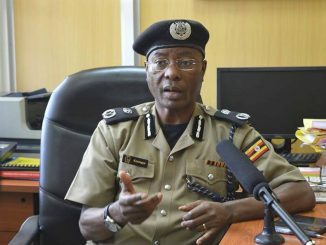 Speaking to this publication last week, Security minister Henry Tumukunde said that parliament passed the age limit law because the ruling NRM party is yet to identify Museveni’s successor. Tumukunde said there is no reason for Ugandans to worry that Museveni is targeting a life presidency since NRM is in the process identifying his successor. “It is not because we cannot change the party leadership, it is just that we’re not prepared. And it is not true that President Museveni wants to be a life president. We would have sat as a party and change the leadership, but we did not want to be like Kenya’s former president Daniel Arap Moi who changed the KANU leadership and the party collapsed. 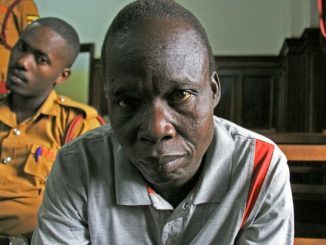 Jack Sabiiti, former Rukiga county MP, says that Ugandans will soon regret the age limit removal because it is not aiming at developing the country but only to satisfy President Museveni and his family. 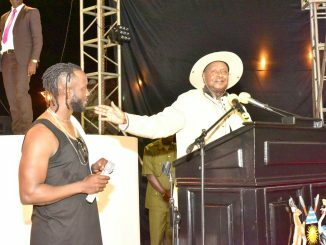 Sabiiti says that Museveni no longer has anything to add on Uganda’s development. “Museveni has been in power for over 30 years. This constitutional amendment is not intended for service delivery, it is intended only for survival and benefiting only one individual and one family. Therefore, I’m appealing to you the young generation to take note of that. If you’re not careful, institutions that we put in place are going to be useless. We’re already regretting. What value can Museveni add now? I want you to tell me. The value he has failed to add to agriculture, the value he has failed to add to education, to infrastructure, development, water systems. In 35 years what can he add on? Lets look where we’re coming from and where we’re going. My worry is the crisis which is likely to come and cause more problems. This country is heading for catastrophe,” said Sabiiti. Museveni compared the 317 MPs to the role played by the 27 fighters who started the war that brought him to power 31 years ago. He also compared them to the 232 MPs of the 7th parliament who opened up the presidential term limits in September 2005.